The curious cast of Watchmen continues to curry favor among interested fans. 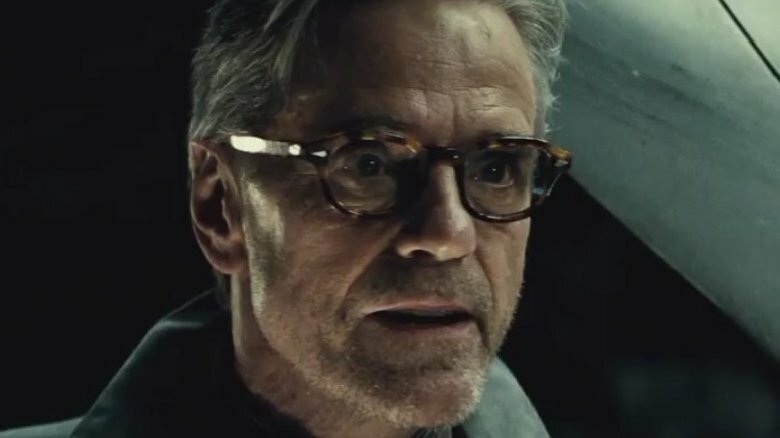 Per reporting by Deadline, Batman v. Superman and Justice League actor Jeremy Irons has signed onto a lead role in HBO's Watchmen TV series. Details about the character he's playing are still being kept a secret. Irons' casting bolsters an already incredibly strong cast for the Watchmen pilot, which is said to be a new interpretation of the world introduced in the Alan Moore-written, Dave Gibbons-drawn graphic novel. The cast for the pilot that we know about so far includes Regina King, Tim Blake Nelson, Don Johnson, Adelaide Clemens, Louis Gossett Jr., and Andrew Howard — all respected, older, award-winning actors who aren't exactly the sort of group you expect when you think "superhero show". The series, run by Lost and The Leftovers writer Damon Lindelof, was first announced around a year ago, with shooting for the pilot having since commenced in Georgia. We've known for some time that the series won't be a new adaptation of the comic, which was made into a movie by Zack Snyder in 2009. In a letter Lindelof wrote addressing fan concerns about another Watchmen adaptation after that movie (which has its supporters, but got middling reviews), the producer stated that viewers could expect "new faces", and "new masks to cover them". As a result, there's really no way of knowing who Irons or any of the other cast members are playing, considering that the show could focus on new characters entirely unrelated to the original comic or its spinoffs. Altogether, it's beginning to look like a sure bet that the Watchmen series will indeed be more in the spirit of the original story rather than a redundant retelling. Set photos dressed up to look like an alternate-universe Tulsa, Oklahoma suggest that the series takes place more or less in the present day — and in locations completely unrelated to the graphic novel. There is as yet no word as to when we might expect to see Watchmen, provided it gets picked up for a full series. As for Irons, he recently appeared in Red Sparrow and Justice League, with his next role being as a hard-drinking actor in the comedy An Actor Prepares.